I was 19 years old (a few weeks shy of 20) and newly married when my oldest son came along, and my husband and I could not have been more thrilled with his arrival. Still, being young parents living on a single military income and with the chance of deployment being inevitable, we knew we wanted to wait awhile for another baby, and took the steps necessary to see to that. We assumed it may be just a few years, but when our son was diagnosed with autism at two years old, we realized it would be even longer. In fact, for a time we did not believe we would have any more children at all. You see, for about a 2 year period- from the time Shaun was 2 to 4, he did not sleep well. At all. He would wake screaming every hour on the hour, which naturally meant I didn't sleep well either. He also had a tendency to climb out of windows, run off, have violent outbursts. Though I loved being a mother, I also realized that my son needed a lot more attention than that of his typical peers and felt that I needed to give him my sole attention at that point in time. In fact, it wasn't until my son was 5 years old that we made the decision that the timing was right, and decided to try for a new addition to our family. A few weeks after my son's 6th birthday, Finley entered our world, and the timing was perfect for our family. Reading our story, it seems like we made the right decision- did the responsible thing by using family planing methods. The right thing. But family planning can be a bit of a controversial topic, can't it? Especially among Christians. After all, if we are supposed to live according to God's plan, why are we taking the control OUT of his hands and into our own? To be honest, I've contemplated this often myself. It's a topic that I still sometimes question, but ultimately I have to feel that God places these options into our life for a reason, and perhaps that IS part of his plan. All I can say about this book is simply... wow! What an eye opener! Here in America, we have many options available to suit our needs- not just about family planning, but about our pregnancy and delivery experience as well. We can choose to have our babies at home, in a birth center or at the hospital. We can choose to do so unmedicated, with an epidural or even elect for a c-section. We can have the most detailed birth plan, or we can decide to go with the flow. No matter what we decide on, we have the CHOICE. And for most of us, it's not a life or death choice, but more about preferences. For many women around the globe, it IS life and death. In The Mother and Child Project, we learn of women and children dying due to lack of medical care, pregnancies too young or too quickly. We learn of children being left orphaned after their mothers die in childbirth. And we learn that many of these issues could be addressed simply by teaching about family planning (birth control & natural family planning- NOT abortion). It is truly astounding to see how critical this information is to these families... and how truly blessed we are! This is a must read for every mother and every woman (or man) who cares about women's issues! There is a lot to learn and a lot we can do to help, and this book is a great place to start. 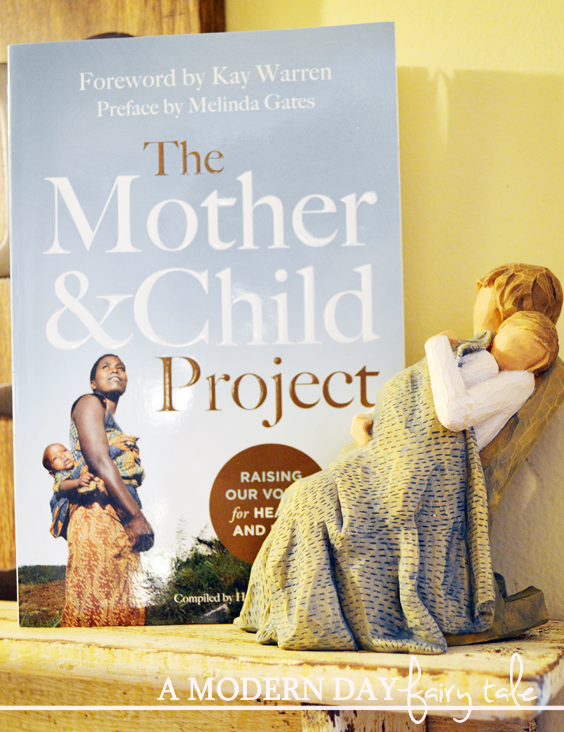 The Mother and Child Project is available to purchase now at Family Christian. No! It's not great to have the "choice" to kill children by using abortifacient birth control, or by killing them by abortion....NOT great at all, and NOT God's Will!